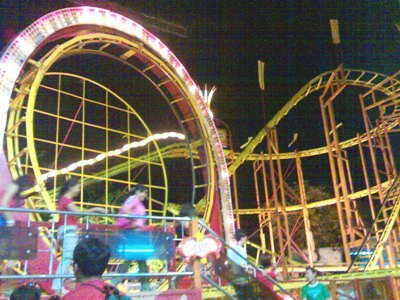 roller coaster is a popular amusement ride developed for amusement parks and modern theme parks. LaMarcus Adna Thompson patented the first coasters on January 20, 1885. In essence a specialized railroad system, a roller coaster consists of a track that rises in designed patterns, sometimes with one or more inversions (such as vertical loops) that turn the rider briefly upside down. The track does not necessarily have to be a complete circuit, as shuttle roller coasters exhibit.